KUSA - UNIVERSAL POSITIVE FORCE THAT PROTECTS LADIES! 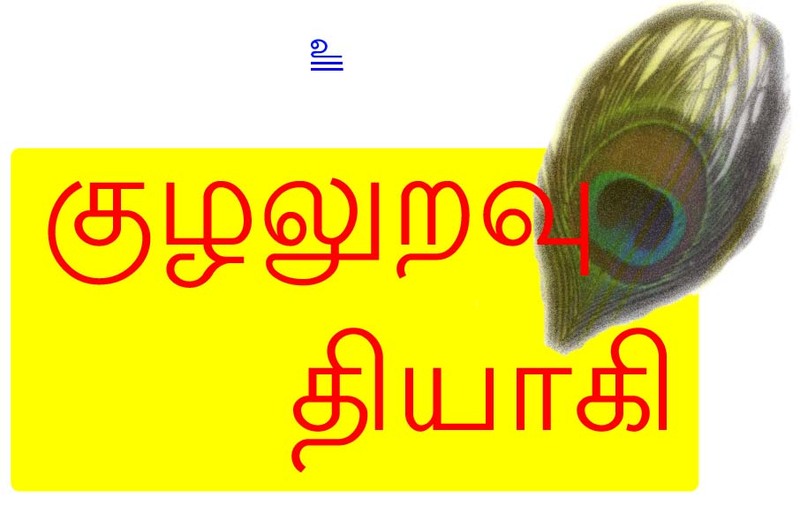 ஒரு சுமங்கலி ஒரு கோடி சுமங்கலிகளை உருவாக்க முடியும் !! The modern world is progressively heaping many a physical and mental problem on the women folk. The present social set up demands that the women folk in the family should also go for employment for winning bread or to improve the social status. The cherished Indian heritage of early marriage and child marriage have become a myth. These systems had guaranteed protection for the ladies and avoided lusty gazes of the male community. Naturally young ladies have to face the mental and physical sexual onslaught. Many of the ladies are separated from their homely surroundings for seeking education, employment, etc. All these factors require constant positive force to protect the women folk from the evil looks and misdeeds of the society around them. Kusa is the positive force that comes to the rescue of the modern women folk and protects them against the negative force that engulfs them from all conceivable directions. The beauty of the kusa force that it can be incorporated in a prayer or pooja activity of the ladies irrespective of the caste, creed or religion of the women folk. Kusa is the most powerful protection force of the day. Try it, practice it and surely you will love it. The various pooja methods that protect the ladies from the present day maladies like chronic diseases, menstrual problems, late marriage, infertility, cancer of the breast, uterus, etc. are dealt with in detail in the publications of our Ashram. Kusa prayer is a special type of prayer that can be practised independently or it can be safely incorporated in any kind of prayers to get some special and positive effects. 1. The first step in Kusa prayer is to ascertain one’s kusa number. The kusa number favourable for a particular lady can be employed in all the pooja activities to bring out the required positive energy. For eg. ladies are in the habit of drawing kolam in front of their houses every day. Only rice flour should be used for drawing kolam. Calcium powder or other chemical preparations should be avoided at any cost for drawing kolam. The pattern of the kolam should be in such a way that the total number of dots in the kolam is favourable to the kusa number applicable to the particular lady. For a lady born on 2nd July, 2 is her birth number and 4 will be her kusa number. The kolam chosen should have 4, 13, 22 or 31 dots. Kolam drawn in this pattern will shower positive effects in all the activities undertaken on that day. Before attending important interviews, matrimonial activities, delivery, surgical operations, diagnostic tests, etc. kolam can be drawn in the manner aforesaid to get favourable benefits from them. Kusa kolams can be drawn on a daytoday basis also. Kusa numbers for the running dates can be calculated and kolam drawn in accordance with the dots applicable to that date bring positive effects daily. For e.g. on 3rd day of a month, kolam containing 6, 15, 24 dots can be drawn to get the kusa effect on that day. Ladies who do not have the practice of putting dots while drawing kolam or in areas where dots are not used for drawing kolam, the number of identical elements in the kolam can be taken for calculating the kusa number for the kolam. For e.g. if there are butterflies (design or pattern of a butterfly) in the kolam, the number of butterflies should correspond to the kusa number of the lady drawing the kolam. The prayer song dedicated by the Siddhas speically for the ladies while drawing kolam is given in our stotra mala. This is a powerful method of invoking the kusa energy inherent in the woken folk. They should develop the practice of singing the prayer song silently or orally while drawing the kolam. In case they find it difficult to sing the prayer song while drawing the kolam, the song can be sung standing or sitting in front of the kolam after completion of the drawing of the kolam. 2. In the pooja room the rasi chakra of the horoscope of the individual ladies should be drawn with rice flour. In each rasi house four fragrant flowers should be placed. (Please see the picture for details.) Only flowers with natural and pleasant odour should be used. Odourless flowers are not used for dedication to the Almighty. Starting with Mesha rasi, the flowers in all the 12 rasi chakras should be arranged in the kusa method and dedicated to the Almighty. The two flowers in the first row will be joined first, the two flowers in the second row will be joined later. The flowers thus joined in the first row will be first dedicated (put) to the lotus feet of your Ishta Devata followed by the flowers of the second row. Next comes the Rishaba rasi. The method aforesaid will be followed and the steps will be repeated for all the 12 rasi chakras and 48 fragrant flowers will be dedicated to the Almighty as detailed above. This is a powerful pooja method for invoking the kusa energy. This practice will remove all the hurdles we face in our daily life. Obstacles in our thorny path will be blown to pieces with the advent of the powerful kusa energy. There is a method of prayer for augmenting the powers of gayathri (a type of manthra) chanting ten times. The same pooja method can be implemented for the kusa pooja also for incorporating the powers of kusa. There is a type of grass called ‘kusa’. In Tamil we call it ‘darbai’. Ladies should keep ready twenty pieces of kusa grass for this pooja. The pooja starts with chanting any of the chosen gayathri manthra. Or one’s own name can be chanted. It is called as suya nama japa i.e. chanting one’s own name as manthra. The tip of the right thumb is used for couting the manthras and the counting starts from the base of the second part of the ring finger. The second manthra lies at the base of the third part of the ring finger, the third manthra at the base of the third part of the little finger, the fourth manthra at the base of the second part of the little finger, the fifth manthra at the base of the first part of the little finger, the sixth manthra at the base of the first part of the ring finger, the seventh manthra at the base of the first part of the middle finger, the eighth manthra at the base of the first part of the index finger, the nineth manthra at the base of the second part of the index finger and the tenth manthra at the base of the third part of the index finger. When you come to the tenth manthra, you count in your mind as the kusa manthra and not as the tenth manthra. You take one kusa grass and keep it on your right side. Repeat the procedure of chanting another ten manthras in the manner aforesaid. The most important thing to be noted in this chanting procedure is that you should count the tenth manthra as the kusa manthra and not as the tenth manthra. The procedure is repeated and one piece of grass is kept on your right side. When you complete 100 manthras, you should have placed ten pieces of kusa grass on your right side. When you place the tenth piece of kusa grass on your right side, count in your mind or loudly as kusa and not as ten. After chanting 100 manthras in this manner, the procedure of chanting the manthras should be repeated by counting with your left hand instead of the right hand. Similarly after chanting ten manthras, you should keep one piece of grass on your left side. When you use your left hand for counting the manthras, the piece of kusa grass should be placed on your left side. After chanting 100 manthras with your left hand in the manner aforesaid, you should have kept ten pieces of grass on your left side. Please note to call the tenth grass as kusa and not as ten as already indicated. After completing 200 counts of gayathri manthra or your own name, you will have 20 pieces of kusa grass, 10 pieces of grass on your left and right sides each. You should hold 10 pieces of grass with your right little finger with the grass protruding outside your palm. Your left little finger should hold the other set of 10 pieces of grass in the same manner. With these pieces of grass kept in the position aforesaid, you should chant only one gayathri. And that is it!! Now your gayathri will have ten times of power. You will now get powers of 2000 gayathri. 200 gayathris have earned you powers of 2000 gayathris. Your powers are multiplied ten times!! And the Kusa powers are also multiplied ten times!! The procedure detailed above can be continued for any length of time. You will earn more and more gayathri powers and also the ever positive kusa powers. One of the basic rules of kusa is that when there are three identical objects in a row, the central object will have the kusa power. The ladies should place kumkum (combination of lemon and turmeric powder) in three places in their body - the centre of the forehead, the thirumangalyam and the top of the forehead. This ensures longevity and good health for their husbands. Kumkum kept in these places will grant kusa powers. because of their central location. Of these three places, the kumkum on the centre of the forehead will have addded kusa effect because of its central location within three kusa locations. It is the KUSA WITHIN KUSA. Ladies are requested to exploit this tremendous kusa power that is available on their forehead and bring forth longevity and good health to your husband! Please never use chemical powders, synthetic materials and plastic stickers on your sacred forehead. It will bring about misfortune to your family and ill health to your cherished husband. There is a traditional habit among men of wearing a black string around the waist. It is a very good protection against the evil thinking of the people around you. It also protects you from the negative forces. evil spirits and black magic disturbances. Ladies should also wear this protective black string around their waist. They should also wear the Kasi string (the prasada string of Kala Bhairavar of Kasi) around their left wrist. These strings around their waist and wrist should have three bands each. The central band will grant the necessary kusa effect and will always do them good. Protect yourself with these simple gadgets of the Almighty! !